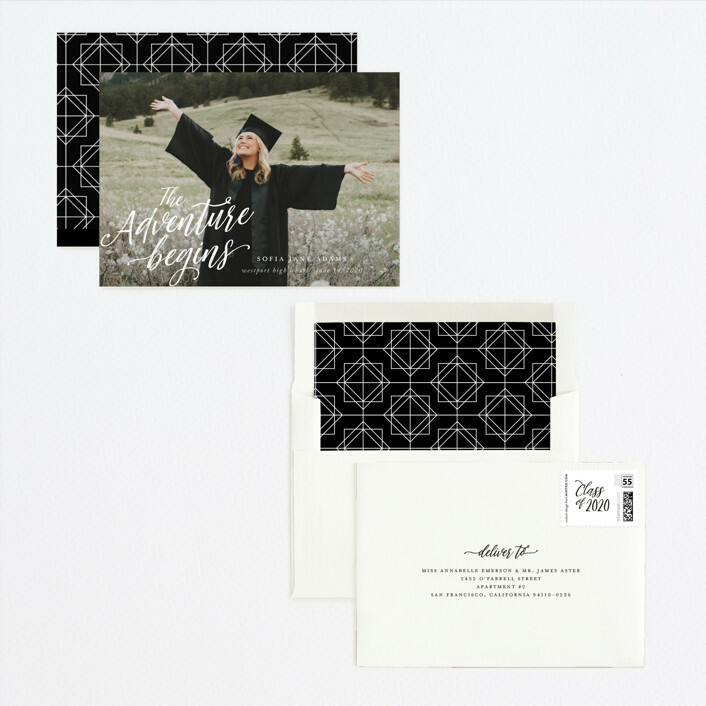 All Graduation Cards are design challenge winners. 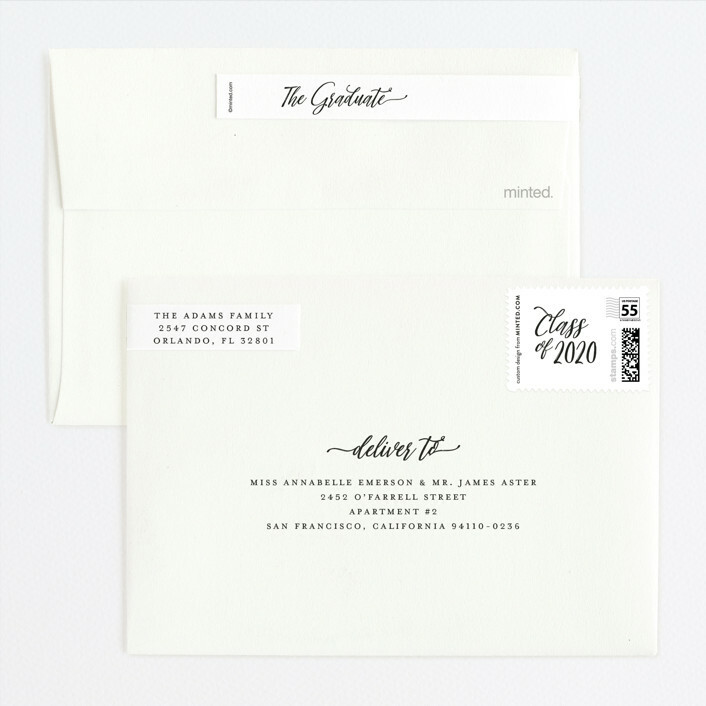 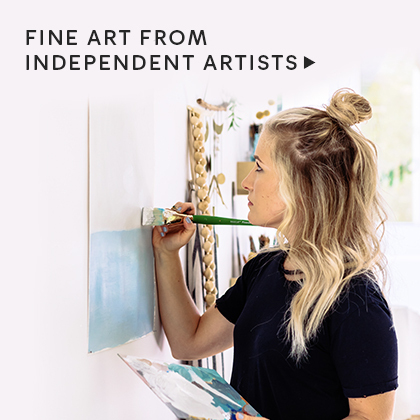 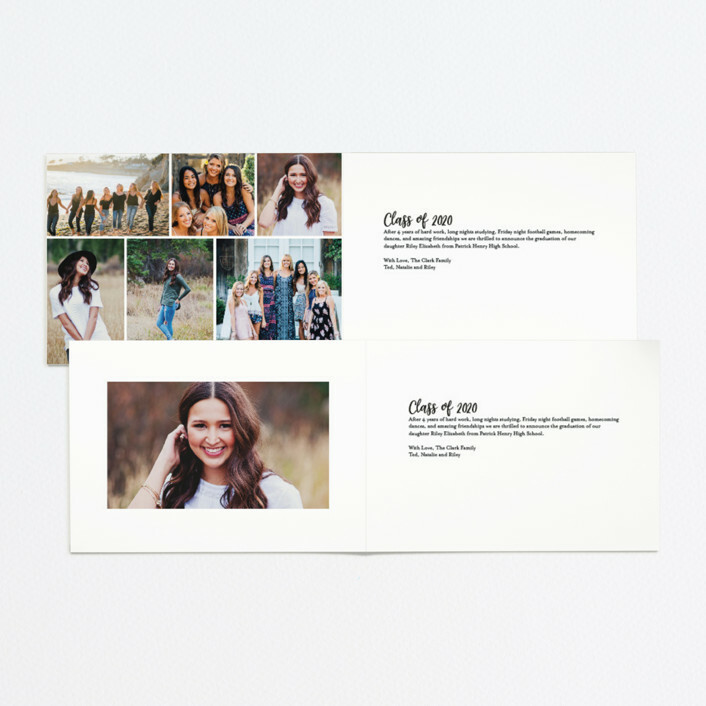 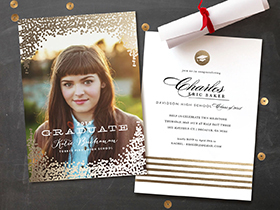 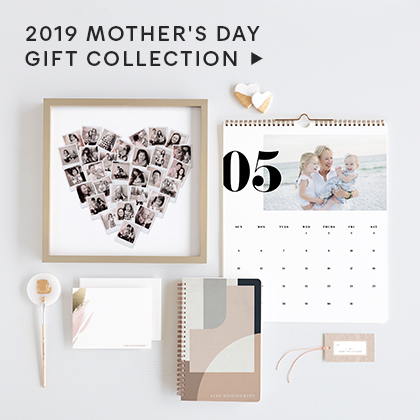 Celebrate the exciting graduation milestone with unique graduation announcements and invitations created for you by Minted’s global community of designers. 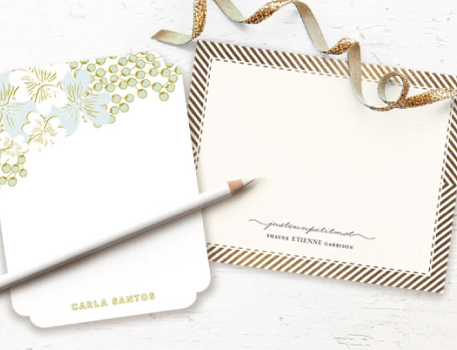 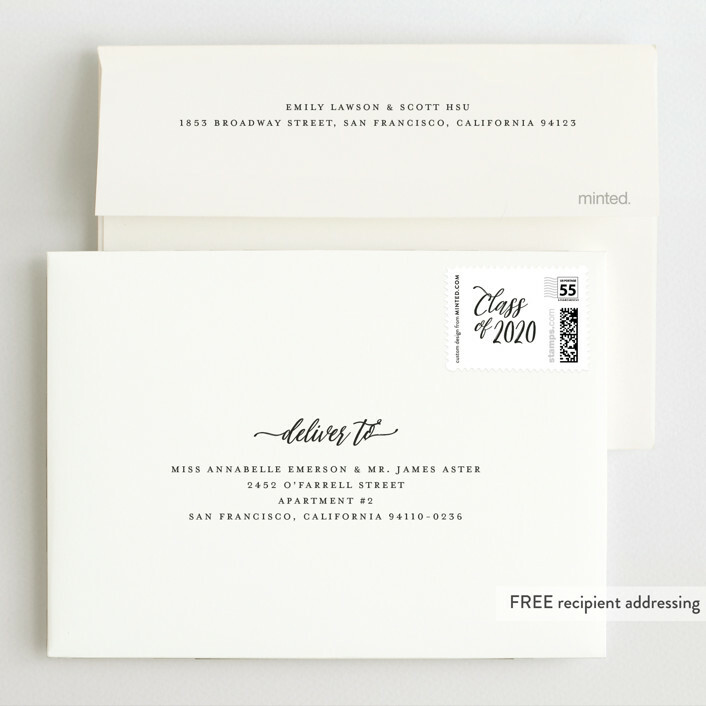 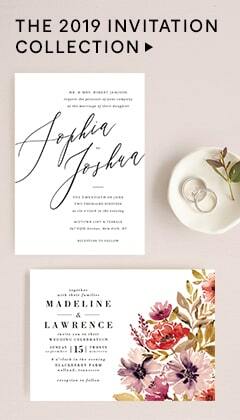 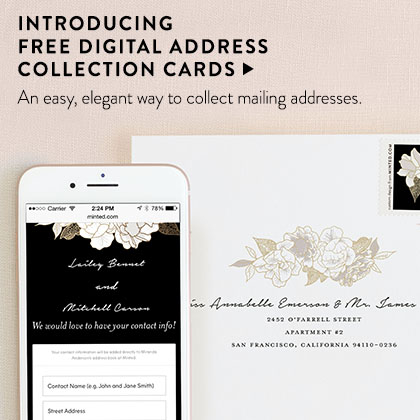 Printed on luxe paper, our fully customizable cards allow you to showcase your sense of style. 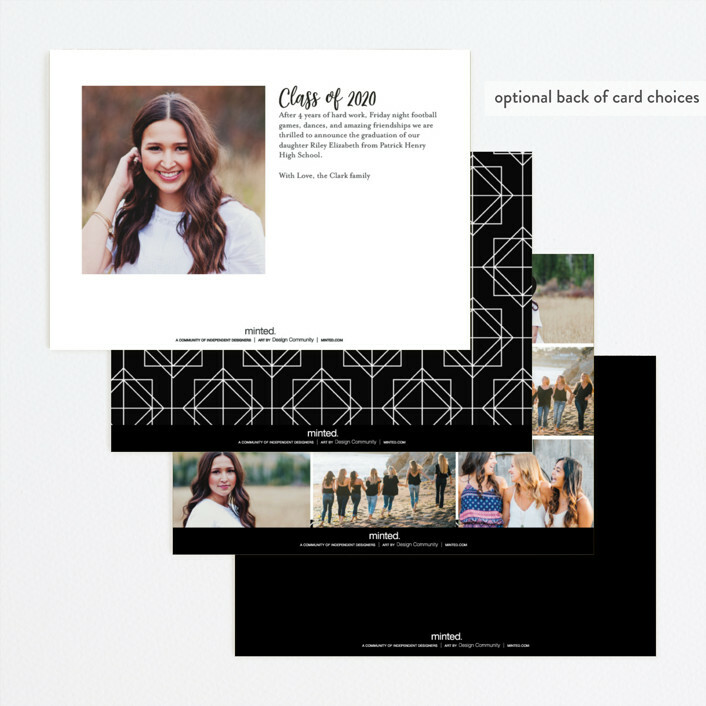 Don't have enough room on the front? 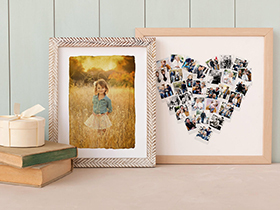 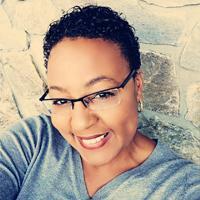 Add a custom backer or interior to share additional photos or a more detailed message. 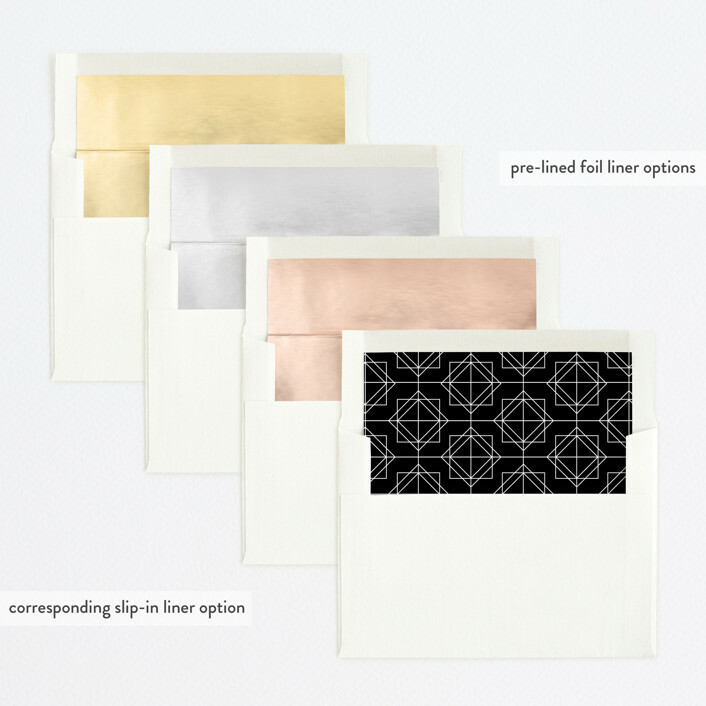 If you have any questions or special requests for your cards please email us. 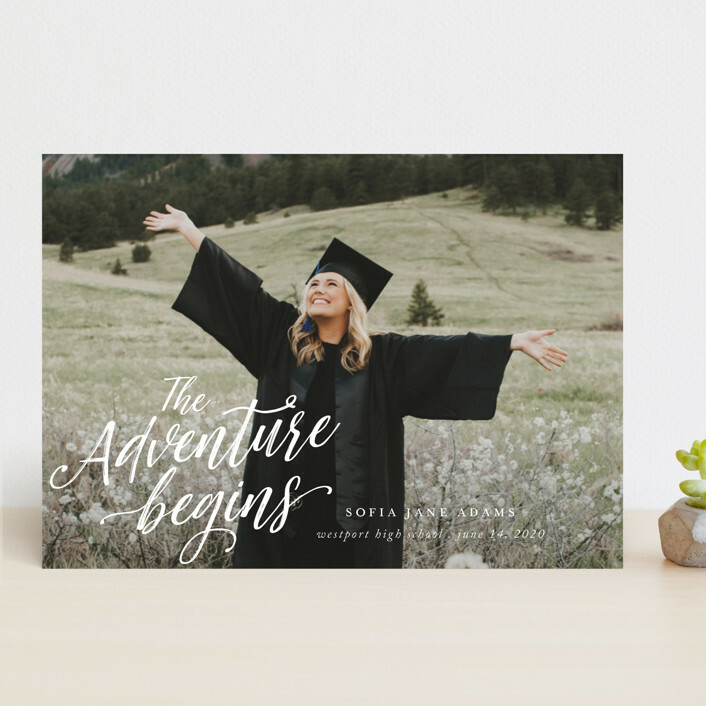 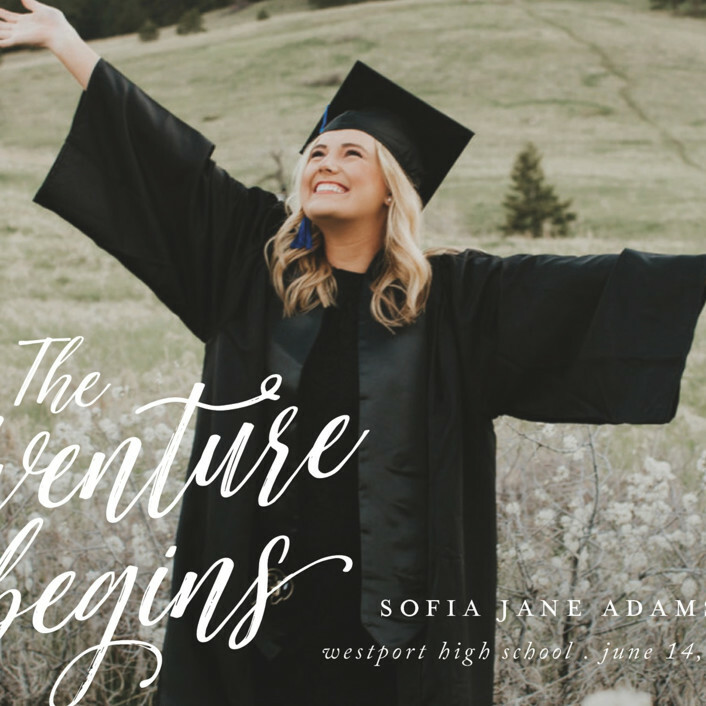 This photo graduation announcement features sweetly scripted text to celebrate your grads next chapter.